All The Money in The World (15, 133 mins) Thriller/Action/Romance. Starring: Michelle Williams, Christopher Plummer, Mark Wahlberg, Charlie Plummer, Romain Duris, Marco Leonardi, Andrew Buchan. Director: Ridley Scott. THE removal of Kevin Spacey from Ridley Scott's propulsive thriller has been abducting headlines since early November. Esteemed replacement Christopher Plummer filmed scenes as oil tycoon John Paul Getty in nine days, leaving Scott and editor Claire Simpson with the unenviable task of reworking a finished Oscar-tipped picture in a matter of weeks. 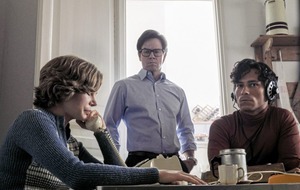 Apart from a couple of noticeable joins, which had to be accomplished with digital trickery, All The Money In The World emerges from a frenetic real-life race against time largely unscathed. The film is still generating awards buzz and Plummer, currently 88 years young, is strongly tipped to become the oldest Academy Awards nominee in any acting category for his scene-stealing theatrics. Based on one version of events surrounding the 1963 kidnapping of 16-year-old John Paul Getty III, Scott's picture sustains dramatic tension with aplomb as David Scarpa's script ricochets between the gang holding the boy hostage and the dysfunctional Getty family. 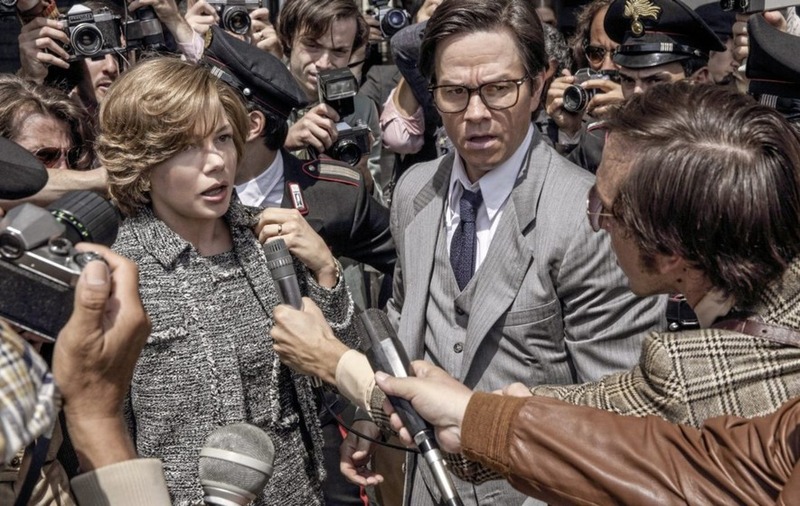 Michelle Williams teases out the steely resolve of the young Getty's mother, who married into wealth and has to rely on the benevolence of others to save her son. "You have to give me some time here, I'm fighting an empire," she pleads to one kidnapper. On July 10 1963, John Paul Getty III (Charlie Plummer) is strolling through balmy night-time Rome, trading pleasantries with prostitutes, when he is snatched off the street by balaclava-clad men. The abductors demand a 17 million US dollar ransom by telephone from the boy's mother, Abigail (Williams). "I don't have any money," she whimpers. "Get it from your father-in-law," responds Cinquanta (Romain Duris), "he has all the money in the world." Oil tycoon J Paul Getty (Christopher Plummer) refuses to plunder a single cent from his billion-dollar empire, coldly arguing that if he paid a ransom for one grandchild he would set a costly precedent. Instead, he hires former CIA agent and security consultant Fletcher Chace (Mark Wahlberg) to rescue the boy. "A hostage negotiation is no place for a woman," snarls the old man. The hunt criss-crosses the Calabrian hills, culminating in a nerve-wracking race to extricate the teenager from the clutches of crime boss Saro Mammoliti (Marco Leonardi). 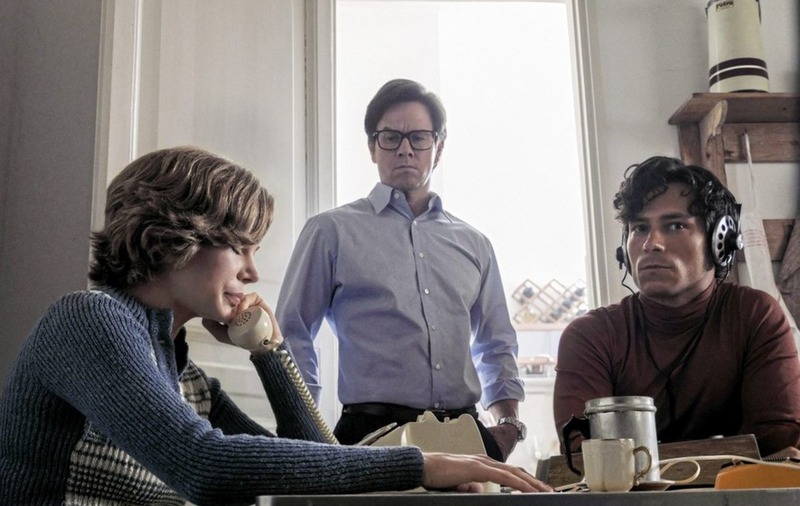 Based on John Pearson's book Painfully Rich, All The Money In The World absolves the young Getty of collusion in his own kidnapping. Scott engineers a stylish and engrossing thriller that makes light work of a robust 133-minute running time, including a nail-biting, climatic set piece that wilfully ignores historical facts. The older Plummer stops shy of smacking his lips with impish glee as his miserly mogul treats the hostage negotiation as a business deal, agreeing a reduced ransom that is tax-deductible and won't impact his status as the world's richest man. Everything has a price, even flesh and blood.